"When people find out we went sailing for a year with our kids, they often want to know how we paid for it. It’s a fair question. After all, we had a statistically average income for the state of New York. In talking with my friend Warren, here’s how he described the general curiosity: “Erik, if you were a hedge fund manager or stock broker, it’d make sense: you probably had a good year, you decided to take some time off, so you just paid for it all. But you’re not that guy. You didn’t just sell your business. You didn’t get an inheritance. 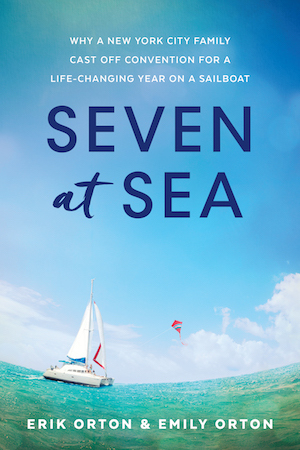 You have a regular job, you have five kids—one with special needs—and you didn’t get some kind of windfall that made it possible.” Most people are a little shy to ask, but what they want to know is, “How did you quit your job, go sailing for almost a year through the Caribbean and come out of it solvent on the other side?' There are a lot of factors, but here’s the money part." We've written an ebook called The Money Part. We're giving it away for free. Just let us know where to send your copy and we'll get it right over to you.